Living in… Tempranales: discover the residential side of Madrid. Are you thinking about buying a new-build home in 2018? Today we are talking about one of the most sought-after residential areas of Madrid: Tempranales, in San Sebastián de los Reyes. And the fact is that without having to relinquish all the cultural and leisure options offered by the capital city just minutes away, this town in the Province of Madrid offers a quality of life that is typical of residential areas. It is set in extensive natural surroundings, while at the same time offering all services necessary for day-to-day life such as supermarkets, shops, schools, or sports facilities. We invite you to go on a tour of the area: we will discover the advantages of living in Tempranales. Tempranales is located in the heart of San Sebastián de los Reyes, some 10 minutes from the centre of Madrid. There is easy access to Line 10 of the Madrid metro, or if you are travelling long-distance, you can take the train from the Valdelasfuentes railway station. Meanwhile, there are some twenty bus routes providing both local and commuter services (and also night services), which provide residents with fluid and convenient travel options. With regard to road connections, the main routes in the area are the A-1, M-607, M-616, and M-603. This area of Madrid is surrounded by green areas such as the Arroyos Park or Araña Park, with their well-known giant slides, where you can enjoy going for a walk with the family or outdoor activities. We would highlight the Dehesa Boyal Natural Park, a 100% natural and protected setting which has become the green lung of the town as well as an exponent of hundreds of plant and animal species. For those who love sport, there are numerous facilities of interest in the area such as the Valdelasfuentes Sports Centre or the Dehesa Sports Pavilion, which in addition to offering facilities where you can engage in a wide variety of sporting disciplines, also offer services such as physiotherapy, spa, or a cafeteria. As a matter of interest, the Jarama motorcycle race track and ‘Micropolix’, an unusual miniature-scale city, are also located nearby, both of them offering an interesting day out for both young and old. If there is something that characterizes San Sebastián de los Reyes, it is the shopping centres that are located there, where you will find clothes shops, cinema halls, restaurants, and a variety of leisure establishments which all offer an attractive range of services for the residents of Tempranales. For example, there is ‘CC Plaza Norte’ where you can spend an afternoon with the family or have dinner out with friends, a perfect way to spend the time without needing to travel into the centre of town, or there is the ‘San Sebastián de los Reyes Style outlet’, heaven for those who love top brands. 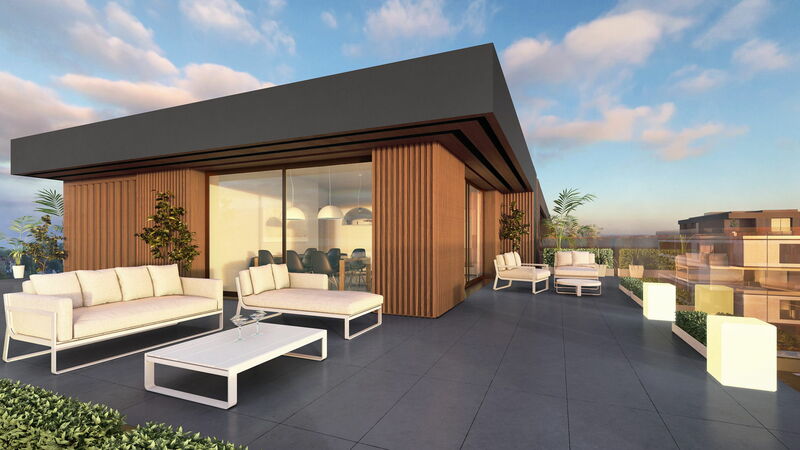 Our project for 3 and 4 bedroom homes in Tempranales, Isla de La Toja, has been conceived in accordance with eco-sustainable criteria: high levels of illumination and natural light, and procedures to optimize energy use in both the dwellings and the communal areas. This has allowed it to obtain the maximum energy rating currently available (A), which means that it has been possible to achieve a remarkable reduction in the building’s energy use. We would also highlight its communal areas: generous gardens in harmony with the residential design, providing the perfect space to engage in sporting and leisure activities without having to leave the development. Would you like to find out more about Isla de La Toja and the Tempranales area? Ask us if you have any queries! Trends in the housing market in 2018: What factors will define the year?